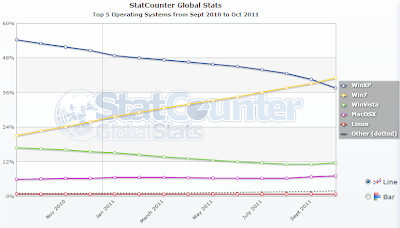 According to the current statistic report from StatCounter.com in which they have compared the statistic of Top Five Operating Systems from September 2010 till October 2011, OS includes Windows XP, Windows 7, Windows Vista, Mac OSX and Linux and its really strange for me to know the result as compare to my previous report. 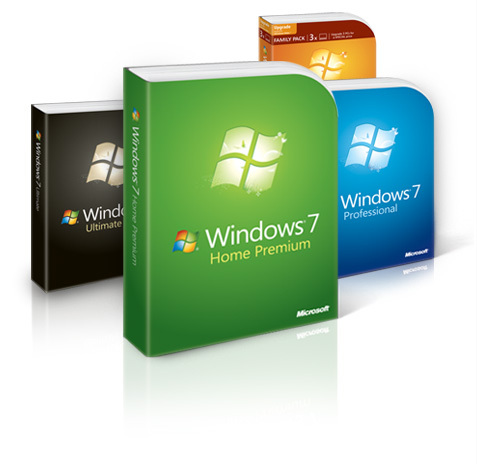 The current statistic report shows that Windows 7 has finally overtake Windows XP, which is obvious and good to hear from latest Microsoft OS. 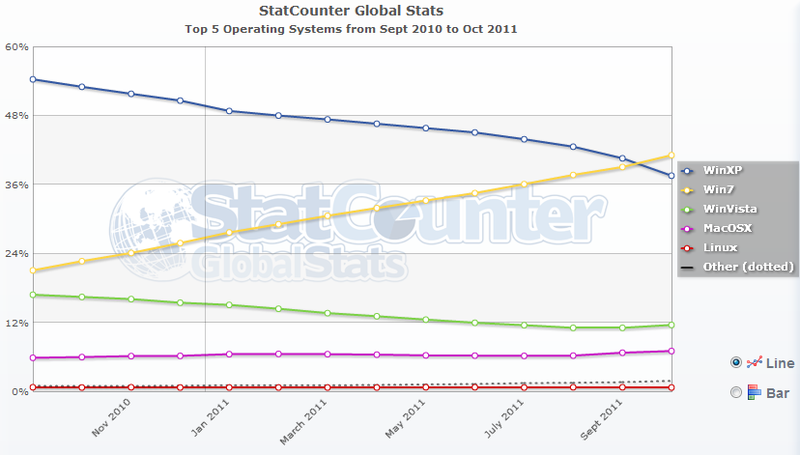 Windows 7 now holds the total percent of 43.84% share of market as compare to Windows XP which were holds only 38.65% when its was launched back in 2001, but the strange part is that Mac OSX and Linux are going smoothly fine and they are on same platform or line of growing and there is no Ups and Downs as compare to Microsoft's New OS Windows 7.